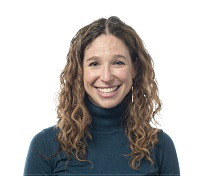 Meredith Gore is a conservation social scientist whose interdisciplinary research explores relationships between human behavior and the environment. She is an Associate Professor in the Department of Fisheries & Wildlife and School of Criminal Justice at Michigan State University (MSU). Dr. Gore is a MSU Global Research Fellow and President of the Society for Conservation Biology’s Social Science Working Group. Her research interests focus on community-based natural resource management and enhancing understanding of risk concepts and their application to biodiversity conservation. Dr. Gore co-developed the Conservation Criminology research framework and teaching certificate program at MSU; the interdisciplinary approach synthesizes natural resource policy, risk and decision analysis, and crime science. Her leadership in this field has resulted in new scientific insight regarding conservation of species such as white sharks, lemurs, cranes, sea turtles, rhinos, elephants, ploughshare tortoises, double-crested cormorants, black bears and gray wolves. Dr. Gore received her PhD in Natural Resource Policy and Management from Cornell University, MA in Environment and Resource Policy from George Washington University, and BA in Anthropology and Environmental Studies from Brandeis University. Phi Kappa Phi has recognized Dr. Gore's leadership in interdisciplinary research. She is a member of the Society for Risk Analysis, Society for Conservation Biology, Wildlife Society, and International Association for Society and Natural Resources. NSF, USDA, and Michigan Department of Natural Resources have helped fund Dr. Gore's research; her students have received awards from NSF, Fulbright, Jane Goodall Institute, and Great Lakes Leadership Academy. Dr. Gore's research has been profiled by National Public Radio, The New York Times, British Broadcasting Corporation and multiple Malagasy newspapers. Meredith Gore serves as a senior science advisor in the Office of the Geographer and Global Issues, Bureau of Intelligence and Research. Dr. Gore provides all-source intelligence support and briefings on conservation issues to high level policy makers in the Bureau of Oceans, Environment, and International and Scientific Affairs, the Bureau of International Narcotics and Law Enforcement, and the Office of the Science and Technology Adviser to the Secretary of State. She assists the State Department in its leadership on the Presidential Task Force on Wildlife Trafficking and other efforts under the US Strategy to Combat Wildlife Trafficking. Dr. Gore writes analysis and intelligence assessments for senior Department and US Government officials on environment, science, technology and health issues, including wildlife trafficking, illegal fishing, illegal logging, climate change, health security, and other scientific and technical issues that influence foreign policy and national security. During her tenure at the State Department, Dr. Gore leverages her scientific expertise in conservation criminology to help investigate, in particular, the linkages between criminal activity and wildlife trafficking, including the convergence in different types of illegal trafficking networks.